Paul McCartney has revealed plans to reissue even more albums from his band Wings. Wild Life and Red Rose Speedway will each be treated to archive editions, as well as a deluxe set combining both albums. They're due out December 7 via MPL/Capitol/UMe. Wild Life, originally released in 1971, will arrive as a four-disc deluxe set featuring three CDs and a DVD. The CDs include a remastered version of the original album, as well as two discs filled with bonus material like rough mixes, single versions, B-sides, home recordings and unreleased songs. The DVD, meanwhile, features home videos, rehearsal footage and behind-the-scenes clips. The deluxe Wild Life set also comes with a 128-page book containing previously unpublished photos by Linda McCartney, additional album and single artwork, track-by-track information and new interviews with Macca himself. There's also a 48-page scrapbook that features photos, tour diaries, set lists, notes and memorabilia. Red Rose Speedway, from 1973, will arrive as a six-disc set, including three CDs, two DVDs and a Blu-ray. The reissue features a remastered version of the original album, as well as two discs that present the album as a double album. Red Rose Speedway was originally intended as a double album, but never released as one until now. There are also additional singles, B-sides and alternate mixes included. The previously unreleased film The Bruce McMouse Show is also included, both on DVD and Blu-ray. The remaining DVD features rare and previously unreleased footage from the James Paul McCartney TV special, interviews and music videos. The reissue package also includes a 128-page book featuring photos, artwork and interviews, as well as a 64-page photo book called Wings in Morocco that showcases McCartney's sketches and notes for The Bruce McMouse Show. 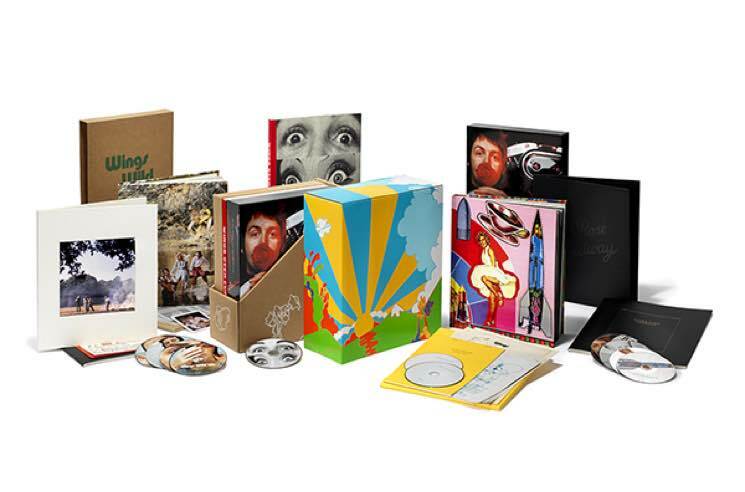 Finally, both albums will be combined in a package that also includes The Wings Over Europe bonus material that previously appeared in the Paul McCartney and Wings – 1971-73 box set. See full details for all versions of the upcoming releases here.